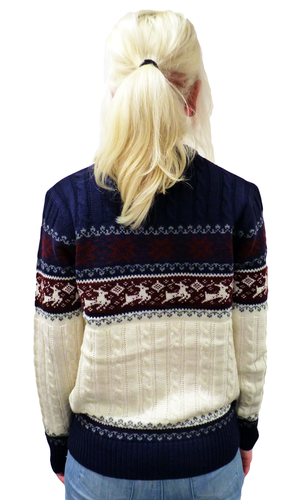 'REINDEER ON MY PARADE' RETRO SEVENTIES INDIE CHRISTMAS JUMPER (Ivory/Navy/Burgundy). This Retro Christmas Jumper will never rain on your parade, it merely suggests that there will be an amazing Reindeer Parade and a festive treat for sore eyes. Fab frolic's from Retro Reindeers and a Vintage Seventies Fair Isle pattern combine with a traditional Sixties Mod cable knit design. Split panel with contrast patterns weaving seasonal magic throughout. A great Indie Christmas Jumper with bags of Retro appeal. Ivory/burgundy/navy Retro Christmas Jumper with Sixties Mod cable knit finish and split panel detail accentuated by festive Reindeer intarsia knit and Vintage Seventies Fair Isle pattern. 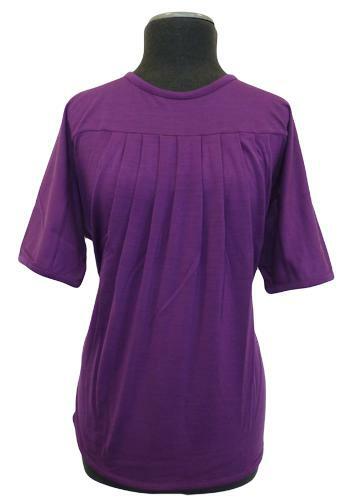 The design is cleverly continued to sleeves and on reverse. 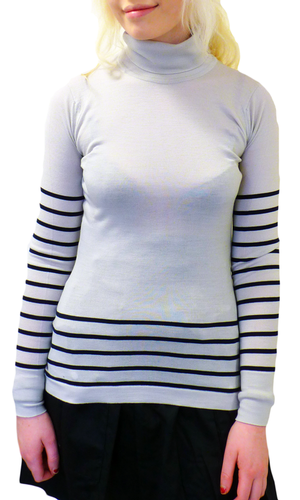 Ribbed crew neck, cuffs and hem. 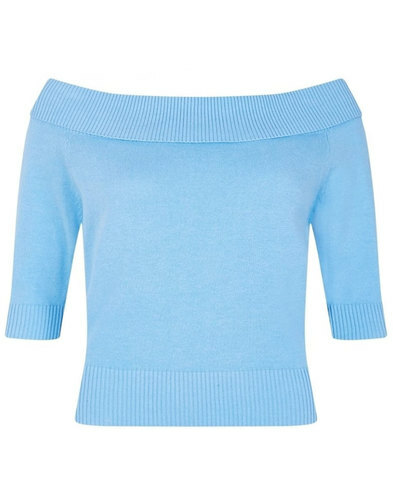 A stand out Retro Christmas Pullover and a great gift idea. Put on your pullover and join the Parade! 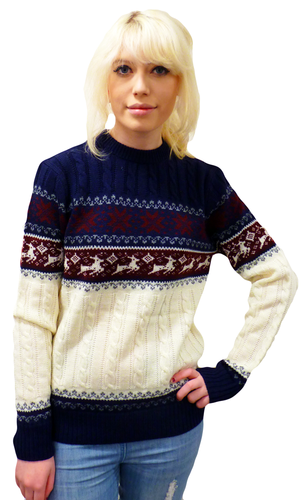 'REINDEER ON MY PARADE' RETRO INDIE MOD CABLE KNIT FAIR ISLE CHRISTMAS JUMPER - Retro Christmas Jumper in ivory/navy/burgundy with reindeer and Fair Isle pattern to middle of chest, cuffs and hem. 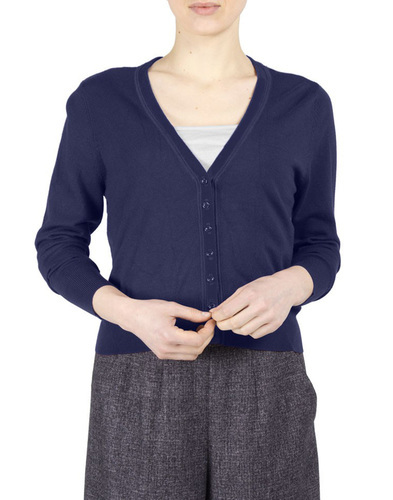 Split coloured panels with Sixties Mod cable knit throughout, ribbed crew neck, hem and cuffs. Vintage Indie styling and the ultimate Retro Christmas Jumper. 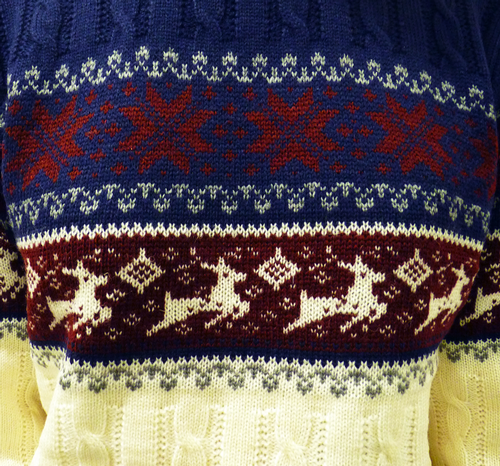 'Reindeer on my Parade' Christmas Jumper. Composition: 30% Wool, 70% Acrylic Retro Christmas Jumper. Unisex fit.